Welcome to Carson Valley Masters! 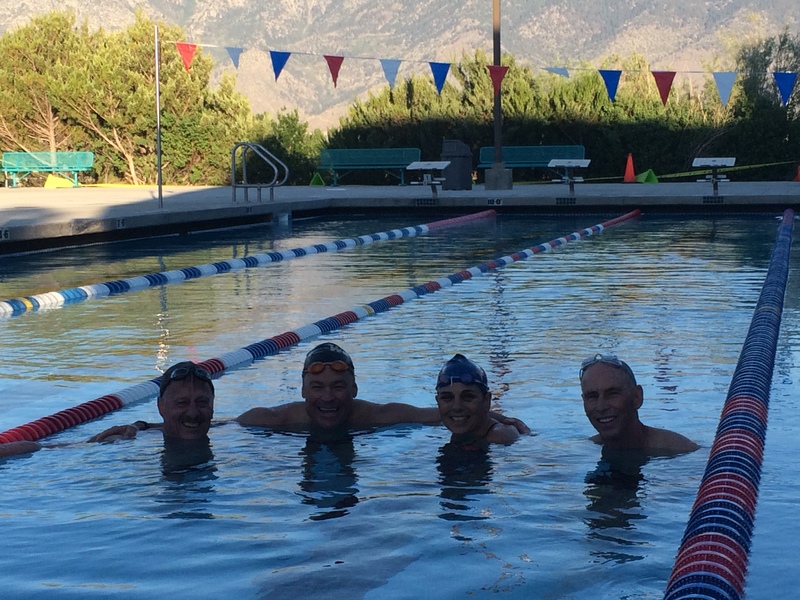 Carson Valley Masters is a year-round United States Masters Swimming (USMS) program for adults. We are located in Minden, NV. We strive to benefit all interested adult swimmers, of all ages and at all levels, from beginners to nationally-ranked swimmers. We are dedicated to helping each member achieve his or her goals as an athlete and as an individual. 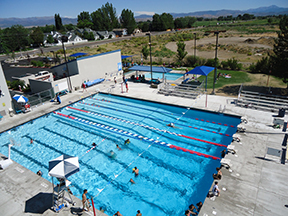 We swim at the beautiful Carson Valley Swim Center with crazy awesome views of the Eastern Sierras! Monday, Wednesday, and Friday from 5:30 – 7:00 am. Drop-in fee is $5. Monthly pass to all workouts is $35. Coach Kat is a USA Synchro Level 1 and ASCA Level 2 certified coach. She has taken age group Synchronized swimmers to National Championships, and has been selected to coach competitive swimmers at LSC All Stars, Pacific Coast All Stars, Western Zone Championships, and North American Challenge Cup meets. Kat likes practices to be disciplined and fun! This comes from two of her past occupations; 10 years in the United States Air Force, and 10 years as a preschool teacher in Washington State. For 12 years she has enjoyed coaching competitive swimming and synchronized swimming at both the Assistant Coach and Head Coach levels. She started competing in swimming at the age of 5, and has been involved in the sport ever since.